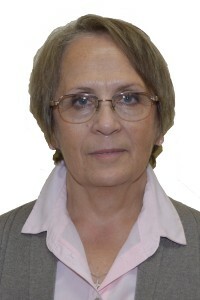 Liliya Panova : Engineer for the company Expertises technico-légales Danny Kack since 2016. Civil engineer, Liliya Panova has several years of experience in the field of civil and construction engineering. She started as a design engineer in the realization of subway stations, railroad tracks, tunnels and overpasses. Over the years, while implicated on several wingspan projects, Mrs Panova specializes on coordinating, planning, managing and surveillance of construction works in the field of civil, industrial, institutional, penitential, hospitals, bridges, roads and highways. She also realizes engineering scientific researches on case studies and analyses of construction materials. Throughout her extensive career, Mrs Panova never stopped learning and perfecting her knowledge on attending numerous continuing education courses. As a forensic engineer, Mrs Panova realizes investigations in the field sites and prepares expert reports of complex cases. She also realizes tests in laboratory in order to verify hypothesis related to the origin and the cause of structural and material failures and accidents.